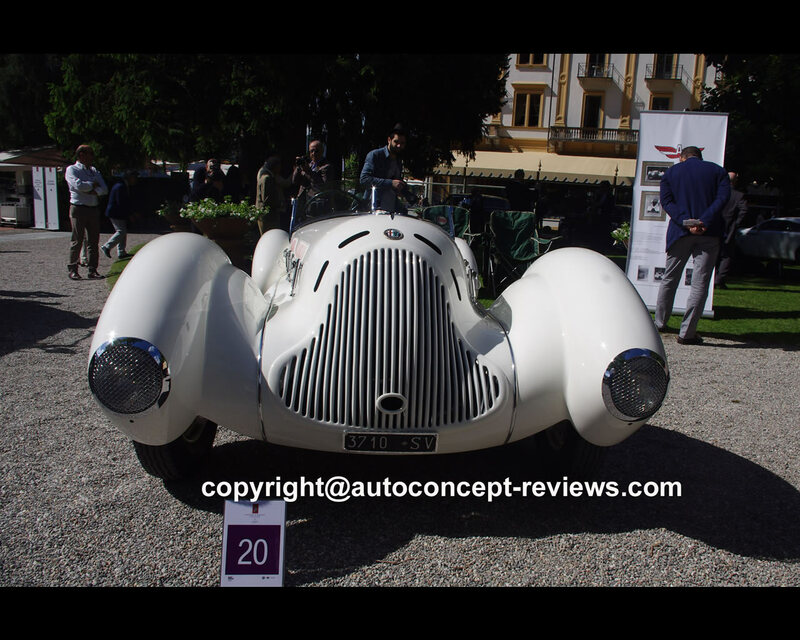 Around 1931, the Alfa Romeo 6C 1750 Gran Sport, styled as a roadster by Zagato, and powered by a twin-camshaft 1752cc 6 cylinder engine designed by Vittorio Jano, was regarded as an absolute gem, a thoroughbred which had already proved itself by winning the Mille Miglia. This car was fitted with asupercharger and its owners competed in national races. 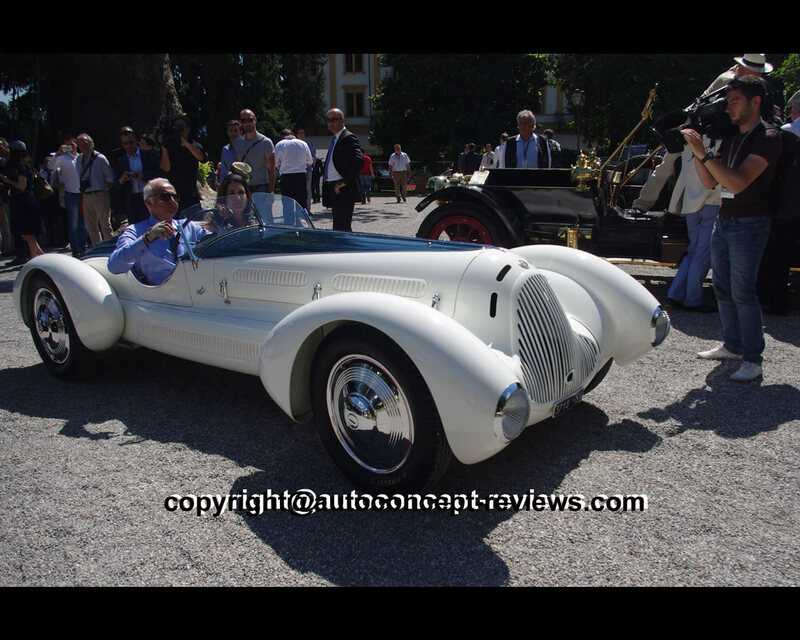 In 1938, the coachbuilder Carrozzeria Aprile in Sanova acquired the exhibited 6C for the sum of 4000 lire. 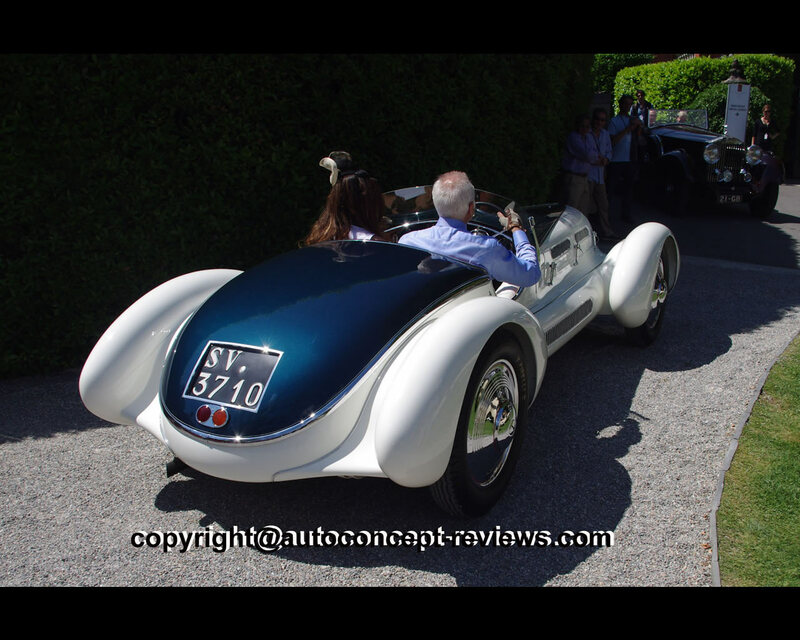 The Spider was styled with a customised aerodynamic body at Aprile. 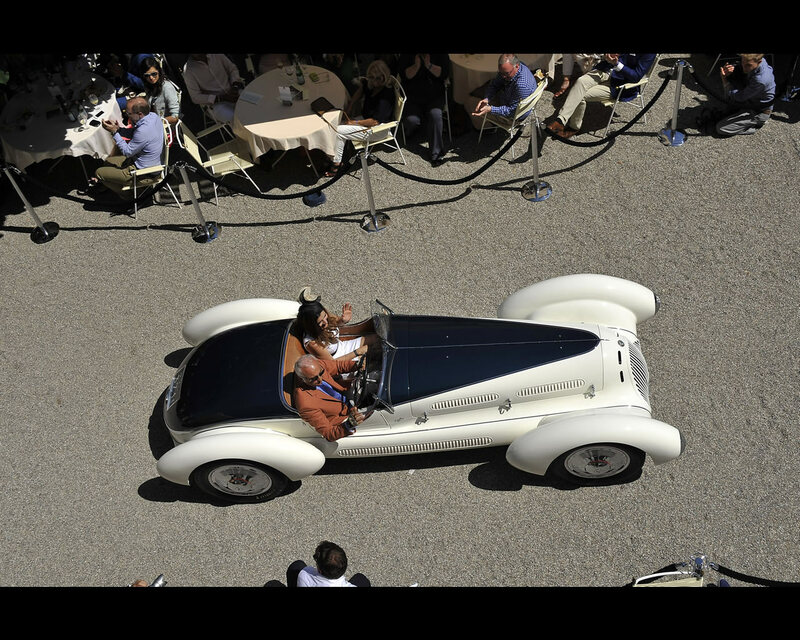 The design was proposed by Mario Revelli de Beaumont. 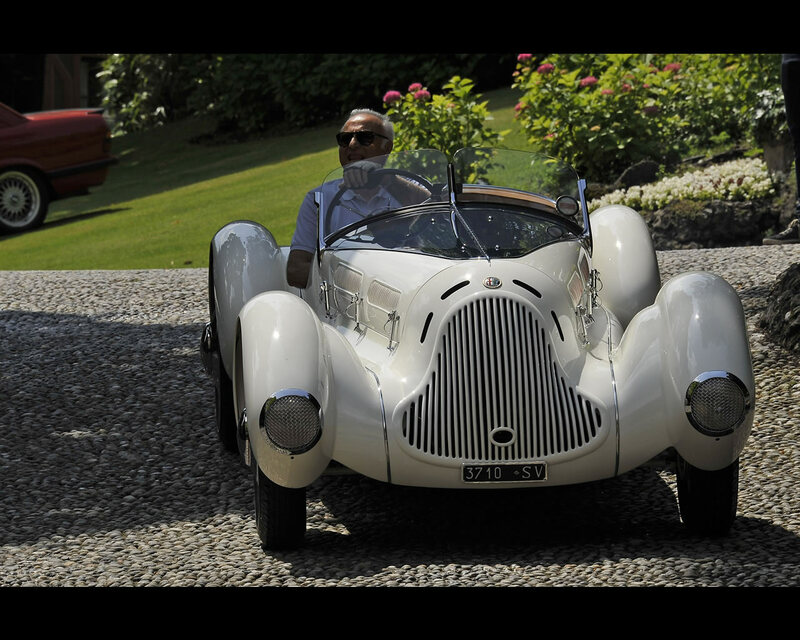 The Alfa Romeo was owned by Feltri until 1956 and the current owner purchased the car in 2008. 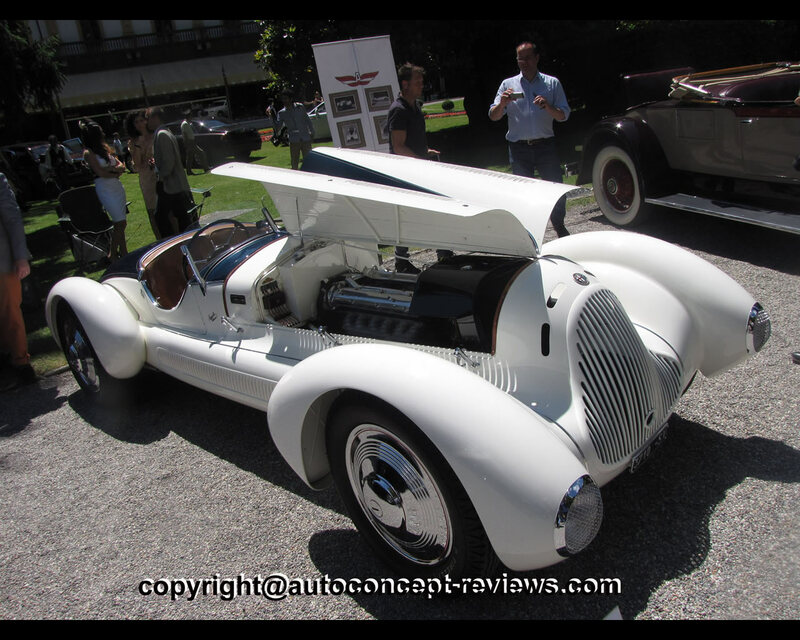 The sports car is reminiscent of the Alfa Romeo Alfetta and was put through a painstaking restoration which included research work carried out by the Milan Politecnico in order to achieve a precise definition of the original color. 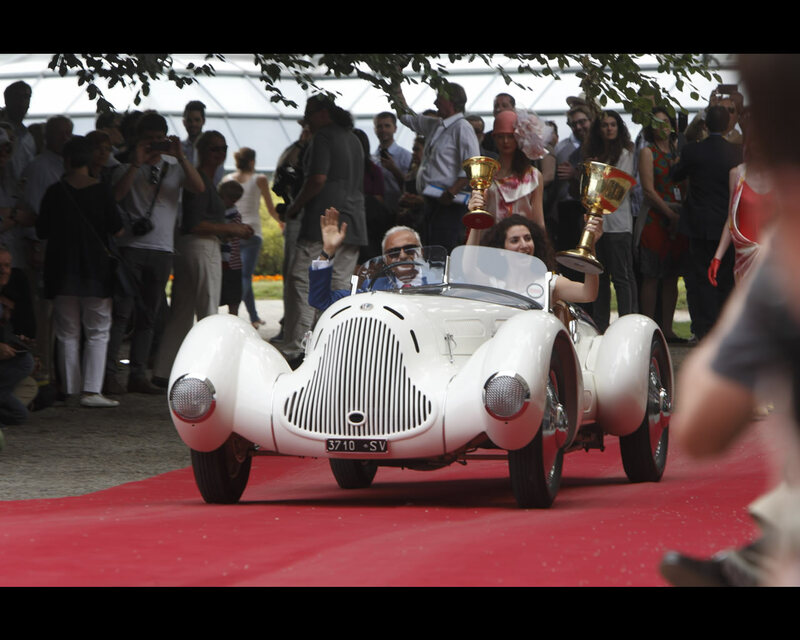 Since its restoration, the 6C 1750 Gran Sport bodied by Aprile has already won a number of awards at various events. 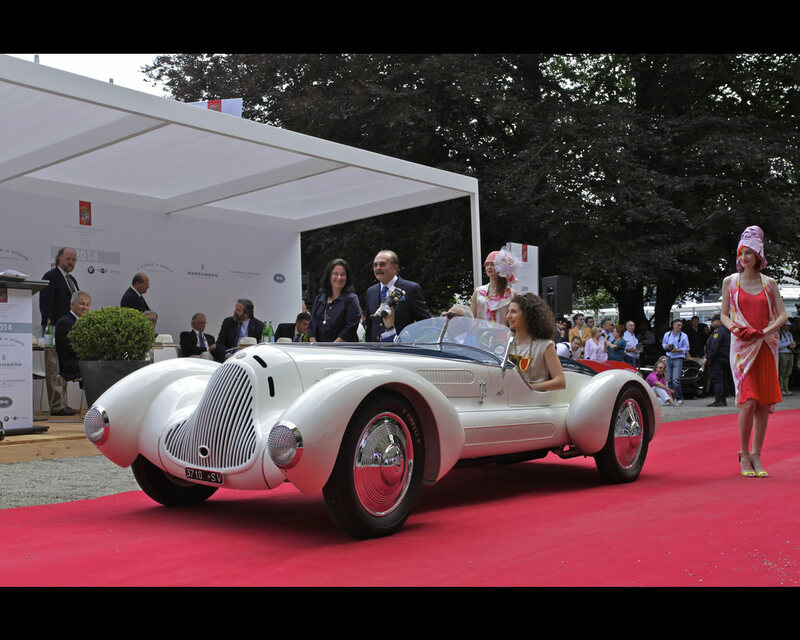 It was entered at the 2014 Concorso d'Eleganza at Villa d'Este by Corrado Lopresto from Italy. 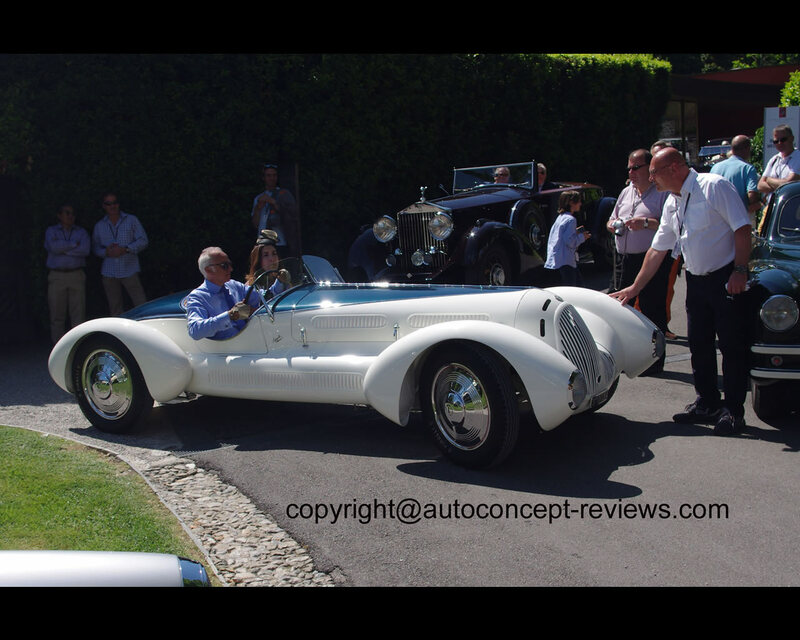 The Alfa Romeo 6C 1750 GS Spider Aprile collected the Coppa d'Oro Villa d'Este best of show by public referendum for Historic cars as well as Class C winner.